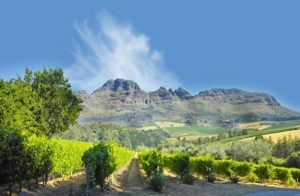 For much of the 20th century, the South African wine industry received minimal international attention. Its isolation was exacerbated by the boycotts of South African products in protest against the country’s system of apartheid. It was not until the 1990s, when apartheid was ended, that South African wines began to experience a renaissance. With just over one percent of the world’s vineyards, South Africa ranks about 20th in area under vines; but its annual output – approximately 251 million gallons – makes it the world’s 10th largest wine producer. Approximately fifty-five percent of South Africa’s vineyards are planted with white varieties. Chenin Blanc (locally called Steen) has long been the most widely planted variety, accounting for 18 percent of the country’s total vineyard area as of 2015… And while that amount is slowly decreasing, a full fifty percent of the Chenin Blanc produced in the world is from South Africa. Other white grape varieties with significant plantings include Chardonnay, Sauvignon Blanc, Colombard, Cape Riesling, Gewürztraminer, Riesling, and Sémillon. From the 1990s, plantings of red grape varieties have risen steadily. In the late 1990s, less than eighteen percent of all the grapes grown in South Africa were red. By 2009, that number had risen to forty-four percent. For most of the 20th century, the high yielding Cinsaut was the most widely planted red grape variety; but the shift in focus to quality wine production has seen plantings of the grape steadily decline to the point where it represented just two percent of all SA vineyards in 2009. In its place, Cabernet Sauvignon, Shiraz, and Pinotage have risen to prominence, with Cabernet Sauvignon being the most widely grown red grape variety covering twelve percent of all plantings. Other red grape varieties found in SA include: Carignan, Gamay, Grenache, Petit Verdot, Cabernet Franc, and Zinfandel. The above-mentioned Pinotage is a red wine grape that is SA’s signature variety. It was developed there in 1925 as a cross between Pinot Noir and Cinsaut. Cinsault was known as Hermitage in SA at the time… hence the interesting portmanteau (parts of multiple words combined into a new word). Ken Forrester “Petit” Chenin Blanc, 2018 (Stellenbosch): This perfect everyday drinking wine is fresh and youthful with flavors of quince & pear and hints of green apple and grapefruit. Good mouthfeel and appetizingly tangy finish. The 2017 vintage was rated 89 points (100-point scale) by the Wine Spectator. The 2018 is not yet rated, but struck a unanimous chord with tasters and is an incredible bargain. $12.99, purchased at the Devon PA State Store. Constantia Glen “Two,” 2014 (Constantia): Fermented in French oak barrels (new & previously filled), this wine is an attractive blend of 70% Sauvignon Blanc and 30% Sémillon. It is the Sémillon that contributes the aromas of honey, peach and pineapple and the weighty and slightly waxy texture on the palate. A touch of lemon on the finish. Received 90 points from Robert Parker’s Wine Advocate. A bit too acidic for many tasters. $28.99, purchased at the Devon State Store. 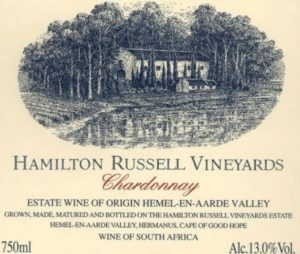 Hamilton Russell Chardonnay, Hemel-en-Aarde Valley, 2017 (Walker Bay): The wines of Hamilton Russell are widely regarded as the best in South Africa and among the best in the world. The 2017 – rated #57 on the Wine Spectator “Top 100 of 2018” and receiving high marks from critics all around – is medium bodied, beautifully textured, and seamless & elegant on the palate. Opulent notes of melon, apple, white peach and quince all follow through to a fabulous finish. A class act. Retails around the $38.99 mark; purchased online from Saratoga Wine Exchange for $31.99. Simonsig Pinotage, 2015 (Stellenbosch): The 2015 is a youthful, alluring wine with ruby color and enticing aromas of berries and touch of spice & smoky bacon. 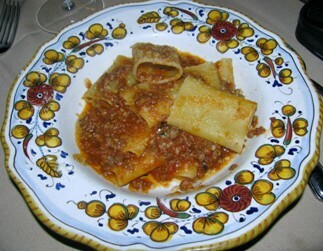 On the palate, the wine is medium bodied with fine integrated tannins, hint of earthiness, and a crisp finish. Good structure and concentration… and a 90-point rating from wine critic James Suckling. Very popular with tasters. Retails for $19.99; purchased online from Saratoga Wine Exchange for $17.44. Hamilton Russell Pinot Noir, Hemel-en-Aarde Valley, 2017 (Walker Bay): The 2017 HR Pinot Noir, which was matured for 10 months in 37% new oak, is another marvelous effort from this extraordinary winery. It is a sleek, impeccably structured, and ethereally elegant wine. Jonathan Ray of Britain’s The Spectator, I believe, said it best: “Anthony HR makes famous ‘Burgundian’ Pinots but that’s not to say that they are simple imitations. There is a definite sense of place to these wines and the only place they could come from is the Hemel-en-Aarde (Heaven and Earth) Valley, one of the sweetest of sweet spots for this capricious grape variety.” Retails at the $43.99 mark; purchased online from the Wine Library in Springfield, NJ, for $29.99. 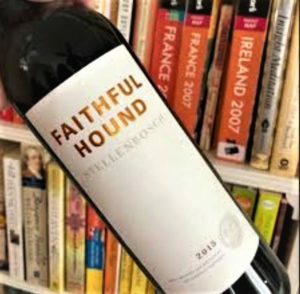 Mulderbosch “Faithful Hound,” 2015 (Stellenbosch): The 2015 Faithful Hound – which recently received 90 points from Antonio Galloni’s Vinous Media – is ripe and earthy with aromas of sandalwood and spice. It is full-bodied on the palate with subtle flavors of dark chocolate and sweet cherry tobacco leading to a fine and lingering finish. An excellent Bordeaux-style blend of 32% Cabernet Franc, 31% Cabernet Sauvignon, 21% Merlot, 9% Petit Verdot, and 7% Malbec. $21.99, purchased at the Devon State Store.